It is with great sadness that we have to announce that our Chairperson Jayne Goodes passed away on 31st December 2017 after a short illness. 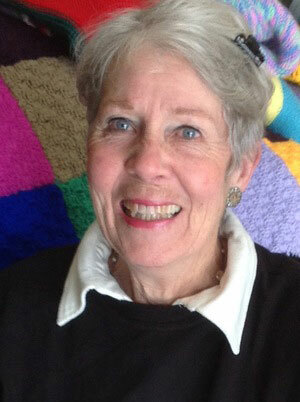 Jayne has been volunteering with Wrap with Love since 1993. She became our Chairperson in 2010 taking over from our founder Sonia Gidley-King. Jayne has been a steady hand guiding our organisation with great passion. She personally knew many of our knitters and always greeted them with delight when they came to the warehouse. As our chair she helped us celebrate both our 20th and 25th anniversaries. Jayne was awarded with an OAM for service to the community in the Queen’s Birthday Honours in 2017. Apart from her work with us Jayne has also volunteered with , Meals on Wheels Woollahra, 1980-1990, Opening and Closing Ceremonies, Sydney Olympic Games, 2000 and weekly lessons, English as a Second Language, Lionel Bowen Library, 2000-2006. Her family will be holding a private memorial service.